Range of Motion (ROM) issues can be improved with massage therapy, exercises, and stretching techniques. Massage is usually gentle and relaxing, concentrating on joints and joint conditions. ROM issues occur with frozen shoulder, back pain, pulled muscles, piriformis syndrome, thoracic outlet syndrome, carpel tunnel syndrome, and many more disorders. How can massage help ROM? The greatest benefits of massage therapy for ROM, which often includes stretching techniques, is how it helps to loosen muscles and increase flexibility. It also increases blood circulation which allows much-needed oxygen and vital nutrients into the joints. This DVD, Myofascial Release Medical Massage Video Series 2 DVD Set - Learn to Free Restrictions helps you learn at home how to massage the restriction to increase ROM. With 75 minutes of instruction, it teaches 7 lessons that include basic anatomy & physiology of the area, how to perform the release, scar tissue release techniques, joint evaluation, and leg and arm pulls to encourage release. Great, easy-to-follow DVD series for use in massage school or at home. How often should I get a massage as ROM treatment? If you have any type of joint disorder, get massage as often as you can afford to get massage. Even if you can only go once per month, do it once per month. The more you can get massage, the more flexible you will be. Find a massage therapist who is experienced with ROM issues and understands attachments, origin and insertion parts of the muscles as well as trigger point therapy and how referred pain areas can affect the muscle tightness and muscle release with massage. 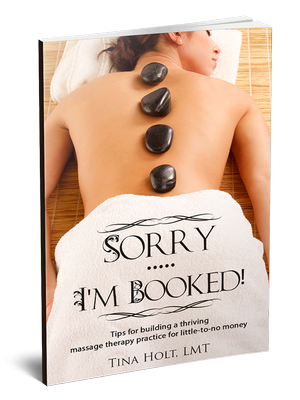 How much will massage therapy cost? Usually, massage for ROM will require someone who has experience working on patients with movement issues. This may make the cost slightly higher, but not by more than $5-$15 more. Average cost should be $60-$75 for one hour of therapy. Just ask questions to make sure the practitioner is familiar with your ROM problem.